Does Garcinia Cambogia Really Work? Get the Facts! There are a lot of weight loss supplements out there. The trouble is, not all of them work. One supplement that could help you lose weight is Garcinia Cambogia. The question is, does garcinia cambogia really work? Learn more about Garcinia, what it does, how it works and if it can help you reach your weight loss goals. Garcinia Cambogia goes by a few names, including brindleberry, Malabar tamarinid and Garcinia gummi-gutta (which is now its official scientific name). Whatever people call it, it’s a fruit that originates in Southeast Asia and India. People have been cooking with Garcinia Cambogia for many years. Its rind is often dried and used as a flavoring agent in stews and curries. More recently, it has become popular as a potential weight loss aid. 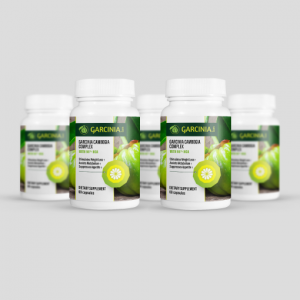 Garcinia Cambogia has been promoted by the likes of Dr. Oz and others as a way to lose weight. But that leaves the fundamental question unanswered, does Garcinia Cambogia really work? Learn more about the fruit, what it contains and what it does. 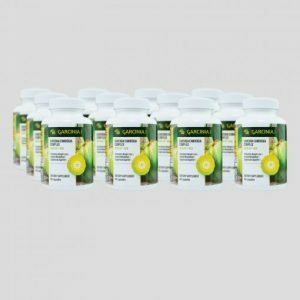 The key ingredient in Garcinia Cambogia, or at least the part that makes people think it can help them lose weight, is hydroxycitric acid (HCA). Researchers first discovered that the rind of the fruit contains HCA back in the 1960s, according to Bodybuilding.com. HCA does a few things that cause people to think it is a helpful compound when it comes to losing weight. Perhaps the most significant effect it has is that it helps to increase the rate at which your body burns fat. According to WebMD, HCA interferes with citrate lyase, an enzyme that produces fact in the body. When there’s no (or less) citrate lyase, carbs that would usually be converted to fats get used up by the body as energy instead. Another way that Garcinia Cambogia works is by increasing levels of serotonin produced by the body. Serotonin is a neurotransmitter that helps to regulate mood. Low levels of serotonin can cause people to feel depressed or anxious. Serotonin can also play a role in controlling appetite. The less of it your body produces, the more likely you are to stress eat or feel hungry. Higher levels of serotonin often translate into reduced appetite. Beyond weight loss, HCA and Garcinia Cambogia are thought to have a few positive effects. It can help to regulate and control levels of glucose in the blood, for example. The supplement can also affect cholesterol levels. It raises levels of HDL, the so-called “good” cholesterol. At the same time, it can decrease levels of LDL cholesterol and triglycerides, the “bad” forms of cholesterol. Another thing Garcinia Cambogia is supposed to do is make you less likely to get tired while you work out. That means you can run or exercise for longer before becoming fatigues, increasing the number of calories you burn off and ultimately, the amount of weight you lose. Suppressing appetite, increasing fat burning, and making you less tired when physically active — that’s what Garcinia Cambogia is meant to do. But the million dollar question is: does it? Researchers have conducted numerous studies looking at the various effects of Garcinia Cambogia. The results have been mixed, but a few studies have demonstrated a positive effect. For example, one study, published in Bioscience, Biotechnology, and Biochemistry, involved giving mice a high-fat diet, to make them obese. Some of the obese mice were then given Garcinia Cambogia extract. The mice who received the Garcinia Cambogia experienced a reversal of the changes that occurred due to their high-fat diet. Another study, published in Current Therapeutic Research, involved people. 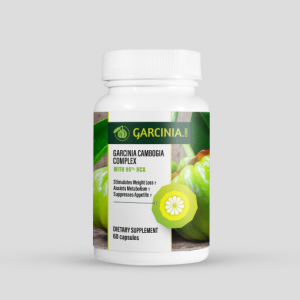 In it, a group of people between the ages of 20 and 65 who had visceral fat that was greater than 90 cm squared received either Garcinia Cambogia or a placebo daily for 12 weeks. At the end of the 12 weeks, each group took a placebo for an additional four weeks. The group who took the Garcinia Cambogia experienced a higher level of reduction of their visceral, subcutaneous, and total body fat than the group that took the placebo. A few studies have examined Garcinia Cambogia’s ability to raise endurance, allowing you to work out for longer and burn more calories. One study, discussed in Evidence-Based Complementary and Alternative Medicine, found that giving mice HCA increased their endurance exercise performance. A second study, published in the Journal of Nutritional Science and Vitaminology, found that untrained women who took 250 mg of HCA for five days had an increase in their endurance and exercise performance on the fifth day of the study. How HCA and Garcinia Cambogia work to suppress the appetite is slightly different from the way other weight loss supplements work. Stimulant based supplements typically work by blocking cravings or slowing down the rate of digestion, so that your stomach stays full for longer. HCA works by increasing satiety. You feel fuller and more satisfied when you eat, so you are likely to eat less overall. A study in Molecular and Cellular Biochemistry notes that there is increasing evidence to support the fact that HCA suppresses appetite. Exactly how HCA makes you feel more full is what people don’t yet know for certain. 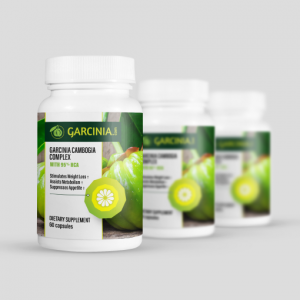 Several studies have examined the role Garcinia Cambogia plays in helping people lose weight. The studies have taken several forms, including placebo-controlled, double-blind studies of larger populations and studies featuring small sample sizes and studies without placebo control, according to JAMA. Results have varied greatly from study to study. 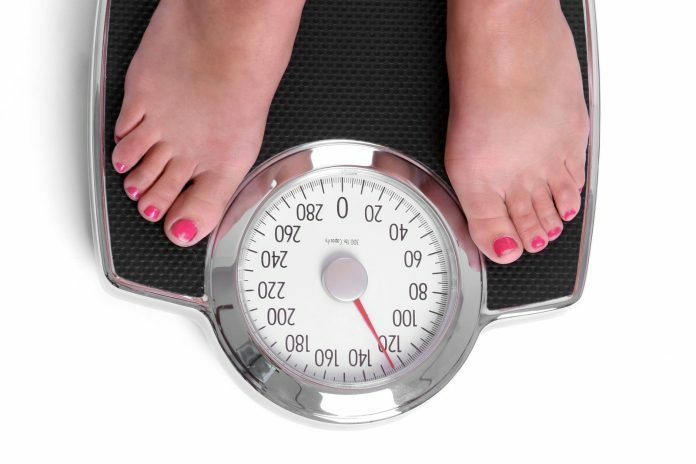 In one case, those who took Garcinia Cambogia ended up losing two pounds more than those who didn’t take it. Another study found that combining Garcinia Cambogia with another herb increased weight loss results. Whether Garcinia Cambogia works and provides any benefits depends in large part on how you take the supplement, according to Bodybuilding. When you take the supplement and how much you take makes all the difference. It’s usually recommended that you take Garcinia Cambogia before eating. Whether you take it only before your first meal of the day or before each meal, you want to make sure your stomach is empty. It’s usually a good idea to take the supplement about 30 minutes before you eat. The dose of the supplement also matters. Look for Garcinia Cambogia that contains between 500 and 1,000 mg per dose, according to Shape. For the highest efficacy, choose a product that has at least 50 percent HCA. Lower concentrations of HCA won’t be nearly as effective. At that same time, you want to be careful not to take too much Garcinia Cambogia. Excessive amounts of the supplements can increase your risk of side effects. Aim for 3,000 mg per day or less. It’s also a good idea not to take the supplement for more than 12 weeks. Want to learn more about how to take Garcinia? Don’t miss this critical step! Although some have promoted Garcinia Cambogia as a miracle fruit, the truth is that it works best when you combine it with other weight loss measures. You can’t eat pizza and burgers all day, every day and expect to see any results. Instead, you want to combine Garcinia Cambogia with a healthy diet to maximize your chances of losing weight and keeping it off. A healthy diet is one that includes plenty of whole grains, whole vegetables and fruit, and lean proteins. “Good” fats, such as those found in olive oil and nuts, are also part of a healthy diet. Exercising regularly can also help you experience better results from Garcinia Cambogia. Remember that one of the benefits of the supplement is increased endurance and better metabolism while you work out. You might as well take advantage of that by going to the gym regularly. What Else Should You Know About Garcinia Cambogia? Although Garcinia Cambogia can be part of a weight loss routine for many people, it’s not always right for everyone. The supplement can interact with certain medications. For example, since it does affect cholesterol levels and blood glucose levels, it might present a problem for people taking statins or for people with diabetes who take medications to control their blood sugar. If you have diabetes and you do take medicine to lower your blood sugar, taking Garcinia Cambogia can cause your blood sugar levels to fall too low. In the case of people taking cholesterol medications, it can interfere with the way the statins work and increase the risk for muscle problems. If you’re pregnant or currently breastfeeding, it’s usually recommended that you avoid taking Garcinia Cambogia (or trying to lose weight at all). The supplement also might not be appropriate for people with dementia, anemia, or kidney/liver problems. Garcinia Cambogia can be just what you’ve been looking for if you have struggled to lose weight in the past. Just remember to take it as directed and, if necessary, discuss any concerns with your physician first. Previous articleHow to Take Garcinia Cambogia: Don’t Miss This Critical Step! Next articleGarcinia Cambogia Side Effects: Liver Problems?